Socoder -> C/C++/C#/Other -> Flap Happy and Fancy Free! 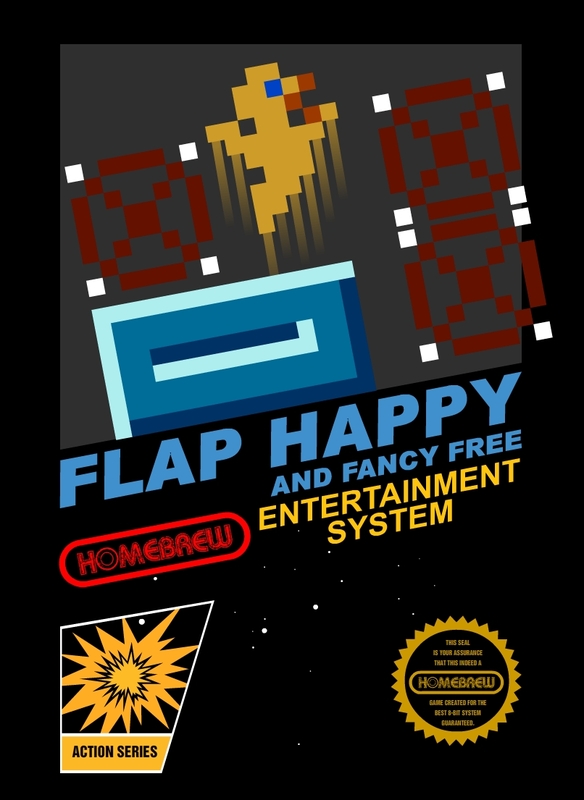 Flap Happy and Fancy Free! 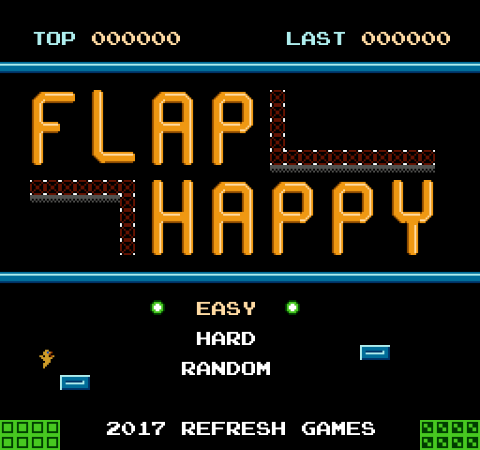 My port of Flapadiddle is beginning, after taking my last NES game attempt as more extended learning than an actual game, I'm attempting to do that lovely procedural generation of levels on a 6502, with a proper,seeded PRNG, Demo levels viewable here, with limits to 8-bit integers for testing. Hopefully the game can fit nicely into 32kb, with many, MANY levels! Gooo proc gen! Web / Game Dev, occasionally finishes off coding games also! The way the original works. Fill screen with random spikes. Place 5 platforms within certain X sections. Eg, leftmost platform in somewhere in first 20% of screen, rightmost in last 20%, others inbetween. Next, erase any spikes within an X radius of platforms. Next, pick a random y value for each of the 20%s, and erase spikes within a certain height of that y value, to create a horizontal corridor at y. Then, create a vertical shaft from platform to the y, to ensure each platform can reach a horizontal area. 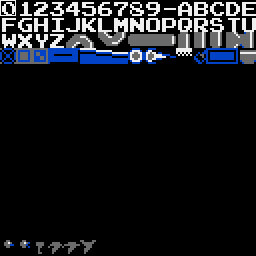 It’s VERY formulaic, but given a "not completely full" random set of spikes, the level looks random enough. Then once more, same height, left to right (max height change of 1). Dot some spikes around randomnly. Place up to 5 platforms where they can appear, based on surrounding blocks being empty. It does need some changing, mainly in the placing of the platforms I reckon. Starting to tackle the NES Audio Processig Unit after a lot of failures attempting to integrate famitone. It's kinda like the gameboy one, but the exact opposite at the same time. Mainly that it uses period instead of frequency so, upping the period value reduces the frequency instead of what I'm used to, ha! Goona write up some sorta sfx tool along the same lines as my gameboy one, should be a good starting point. Okay, got control over a couple of beeps and scaling, longer beeps. Will maybe add fading tomorrow and other stuff, possibly multi channel gubbins. and errr. others? I'll have to think about it a fair bit! Go nuts!! Can’t wait to see what you can come up with. Don't mind if I do!!! Well, I'm putting together a "function" library formyself in ASM currently, so I have some sorta of a game engine to make single screen games a bit easier to make. Super Floofy Sheepie taught me a fair amount about what to do and not to do in assembly so this is building from that in a sense. Had a good few hours to code today and got started on the function library for some NES games, there's a legit title screen and actual planning going on this time as opposed to me doing things very much off the cuff. Aye, It'll all be in ASM still once it's ready though so I don'tk now how much use it would be to others but, we'll see how it develops. Level generation is proving to be a lil tough, as it thought, when you're only able to mainpulate reigsters, things get tough fast! Add a few more paths to it and I might be getting somewhere close to some nice levels! Got that sweet, sweet background collision working this morning, yeah!!! Yes, it really is, pretty excited to get further with this one! Nailed the level geneation down a lot more today also. I'm kinda planning on 2 player co-op and vs modes. 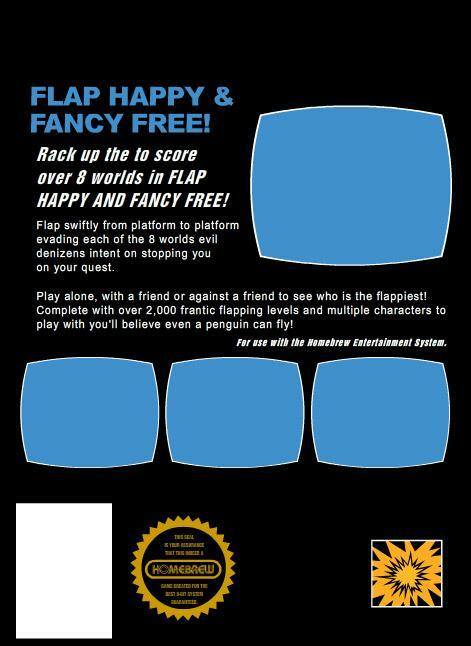 Probably best over 3 levels and total combined score on co-op mode. Maybe combine it with a timer for speed runs or something perhaps? I reckon it has potential for it. That and multiple worlds, varying themed enemies / obstacles would be cool to add into it. .... Flappychick looks a little ghost-like, though!! Flappychick looks a little ghost-like, though!! Yeah, to be fair I thought that too. What size sprite are you using for the main character. Would you be happy with some graphics input? I'm using two separate sprites stacked on top of each other with I think... 6 frames of animation total (2 head, 4 body). Knowing me, I'll likely change over to some sorta penguins at some point. Should I have enough spare tiles I'll probably bung a character select along the way. Should have space for 4 of the lil blighters. With palette swaps for player 2. I only have 128 tiles total to use here however as I'm planning on doing some 2 frame background animation by swopping the sprite tiles for the bkg ones, etc. Copyright Jayenkai - 2017+ | Thanks to Shroom_Monk for CSS/Dev Tips | Uses a Jay-Tweaked version of CBParser.